The first generation Mercury Capri was Mercury’s pony car. With the success of the Ford Mustang, Mercury wanted some of the action. 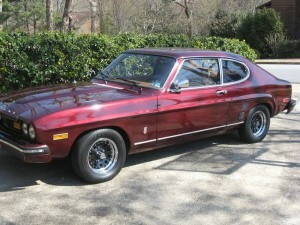 The Capri from 1971-1977 were captive imports from Ford of Europe and sold in the United States as the Mercury Capri. In its day, the Capri was one of the highest imported model except the Volkswagen Beetle. In 1978, the Capri would become a clone of the fox-body Mustang. The 1971 Capri was built in Cologne, Germany. 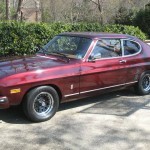 The first Capri was first sold in the United States in April 1970, but did not carry the Mercury marque identification, but was sold through Lincoln-Mercury dealers. Initially, the Capri came with a British 1600-cc Kent crossflow engine. Starting price for the Capri was less than US$2300. For 1971, the Capri became the Mercury Capri. The 2.0 liter OHC I4 was introduced in the 1971 model year. The 2.0-liter had a 9.0:1 compression ratio. But otherwise the Capri was little changed. The Capri would carry over from 1972 with little changes. Compression on the 2.0 liter engine was reduced to 8.2:1 and a 2.6 liter “Cologne” V6 engine was introduced late in the model year. The Capri would receive it’s first major revision in 1973. The 1973 model received a revised grille, larger tail lights, and revised rear quarter “grills”. The North American Capri also received the federally mandated 5-mph front bumper. The chrome bumper was mounted in front of a steel pipe and attached to the frame by shock absorbers. 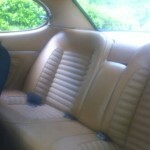 The interior was also revised with new seat trims, dashboard, and steering wheel. Mechanically, a new wiring harness was used. By 1974 the North American Capri would adopt large, federally mandated 5-mph bumpers at both the front and rear of the car. The bumpers were covered in body-colored plastic. Other changes included replacing the 2.6-liter Cologne V6 engine with a 2.8-liter Cologne V6 engine with revised castings for both the engine block and cylinder heads. For 1975, the Capri would be heavily revised and become the Capri II in North America. For more information on other Mercury models, see the 1967-1970 Mercury Cougar or the 1964-1965 Mercury Comet. 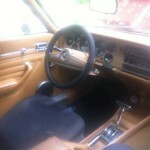 This entry was posted in Capri, Mercury and tagged Cologne, Comet, Cougar, mustang, Pony Car. Bookmark the permalink.